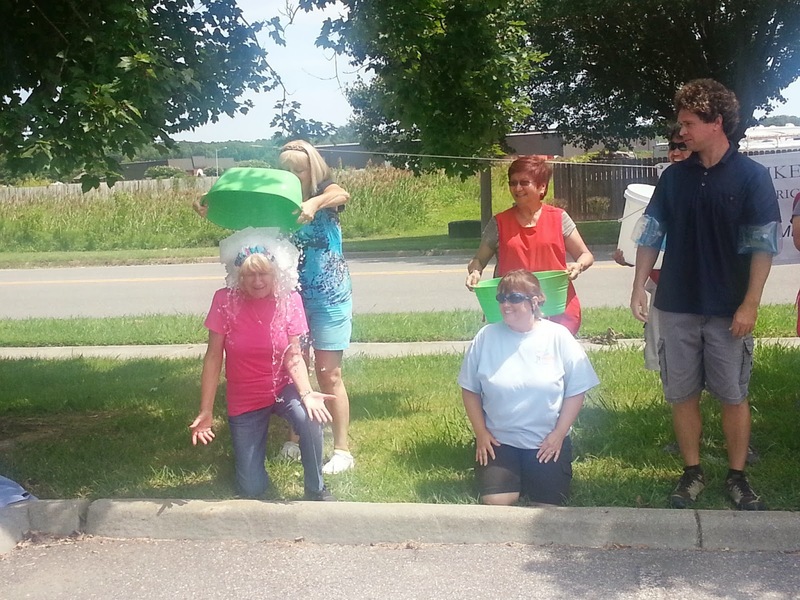 Quilters Dream takes the Ice Bucket Challenge for ALS! Why is everyone dumping buckets of ice water over their heads you ask? If you've been living under a rock for the past few weeks, lets catch you up to speed on the latest viral sensation that's getting out of hand...in the very BEST way! It all began when Massachusetts resident Pete Frates, 29, who's been living with ALS since 2012 and his family came up with the idea. 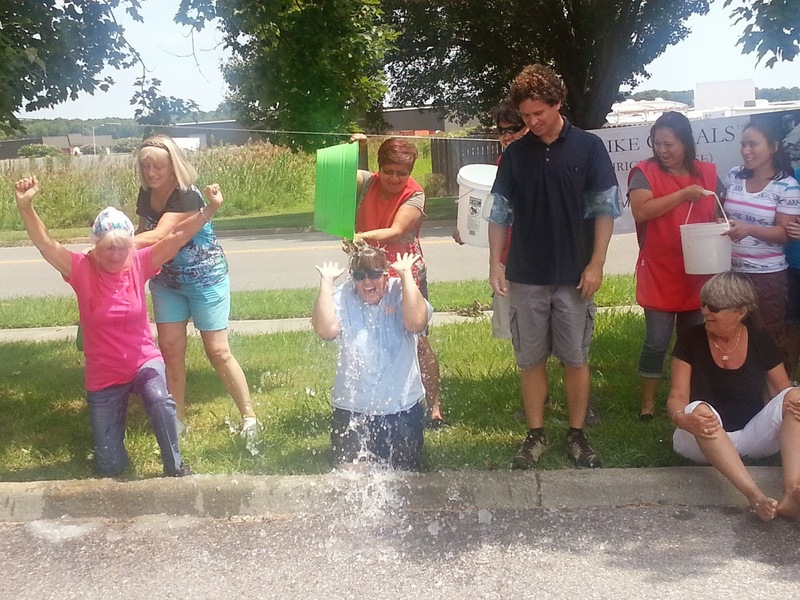 The challenge involves people getting doused with buckets of ice water on video, posting that video to social media, then nominating others to do the same, all in an effort to raise ALS awareness. Those who refuse to take the challenge are asked to make a donation of at least $100 to the ALS charity of their choice. People all over, even celebrities such as the Kennedy's, Justin Timberlake, and NFL football teams have accepted the #icebucketchallenge. And since we are determined to find a cure and raise awareness for this awful disease, of course we took the challenge as well! 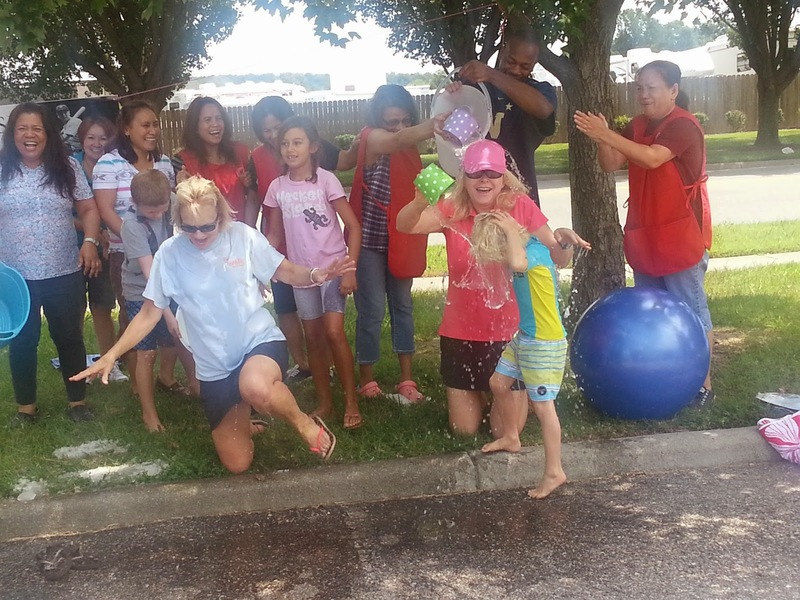 Those brave enough to get drenched on this sunny warm Friday (thank goodness, could you imagine this during the winter?) came prepared with bags of towels and extra clothes to change into afterwards. I even think I saw a hairdryer in the bathroom haha. Buckets of all sizes, NONE too small were filled with ice and water to the rim! They were placed under the trees out front of Quilters Dream Batting Headquarters as 7 thrill seekers waited for a chill. Kathy Thompson, owner of QDB, decided it would be fun to "nominate/challenge" other batting companies. You will have to watch the video to see who she will choose. 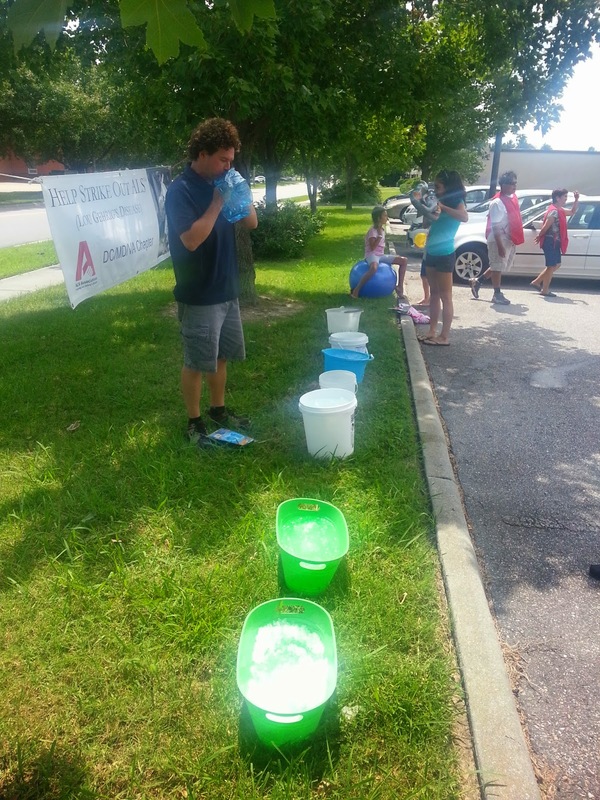 We couldn't be happier to be soaking wet amongst many others in the hopes to find a cure and raise awareness for ALS! We hope to come across your video in the social media world. Judy began making quilts in 1969 when she was a college student. After that first quilt, she couldn't go into a fabric store without coming home with an armful of fabric for another of her quilt ideas. She jokes that she had to become a professional quilt maker in order to justify her fabric stash. In 1980, Judy wrote her first quilting book as an editor of Quilter's Newsletter. 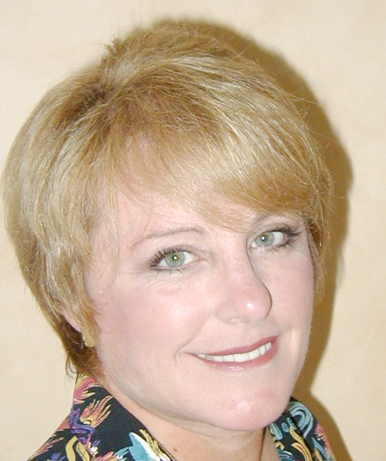 Since 1988, Judy and her husband, Steve Bennett, have been self publishing Judy's books. 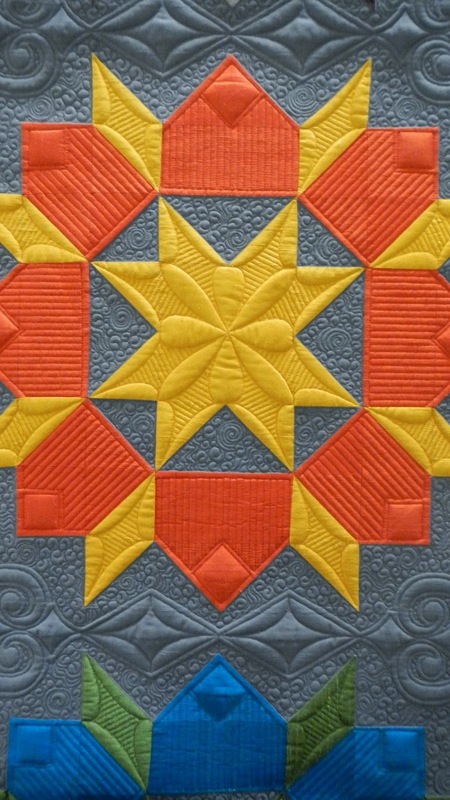 To date, Judy has designed and published 996 original block and quilt patterns, many of them in her 22 quilting books. In November, Steve and Judy published Judy's latest book, Extraordinary Log Cabin Quilts. The book has comprehensive information and helpful tips for making Log Cabin quilts, as well as patterns for 15 stunning new variations of this timeless favorite. 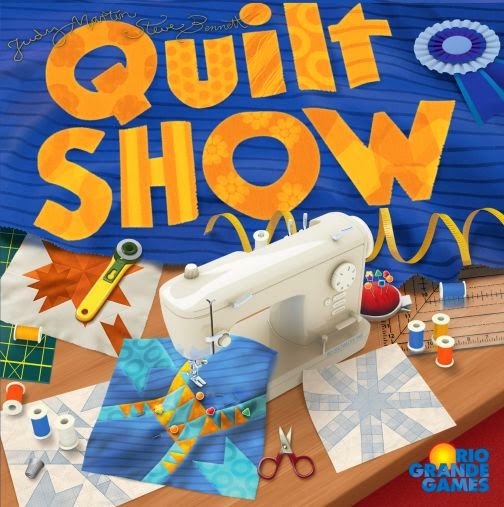 This summer, Steve and Judy's quilting game was published by Rio Grande Games. The game, Quilt Show, was a winner of the Rio Grande Games Design Contest. Game play is intuitive for quilters, who will love it whether or not they consider themselves gamers. Over the years, Judy has made more than 250 quilts; designed several fabric lines and rotary cutting tools; written scores of magazine articles; released several Electric Quilt pattern software products; recorded quilting videos for YouTube and Quilter's Newsletter TV and an episode of Simply Quilts on HGTV; and had a one-woman show of 30 of her quilts at The National Quilt Museum, where one of her quilts is in the museum's permanent collection. Judy Martin Books is active on Pinterest and Facebook, and Judy offers a free newsletter and Block of the Moment patterns on her web site: http://www.judymartin.com. Judy does a little hand quilting for gifts, and she likes using Quilters Dream Cotton (Request loft) because it allows her to make small, even stitches. In order to complete quilts in a timely fashion for her books, Judy has them professionally quilted. 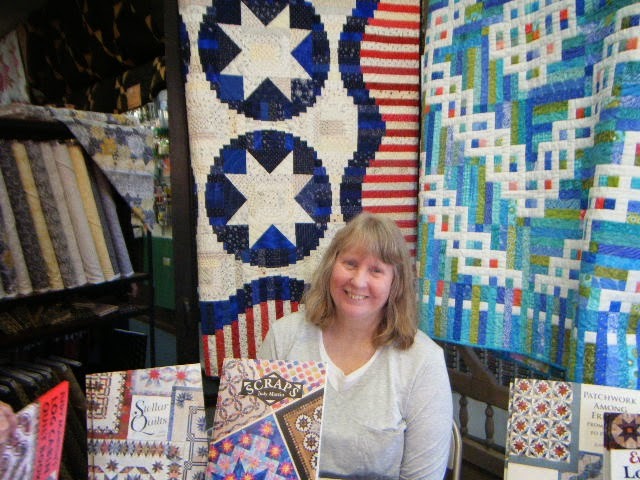 Because Judy designs and pieces the quilts as well as writing, typesetting, and illustrating her books, time constraints do not allow her to quilt the projects in her books. 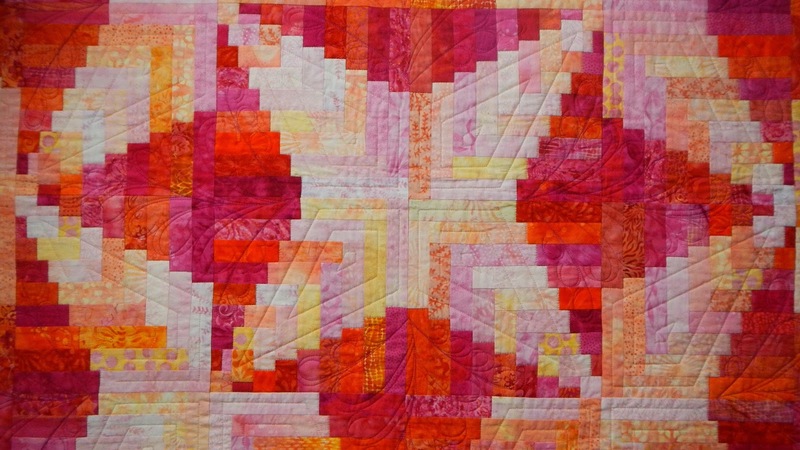 Instead, she entrusts the quilting to talented longarm quilter, Lana Corcoran. For years, Judy has specified Dream Cotton (Select) Loft as her batting of choice in her quilts that are finished with machine quilting. Judy usually discusses her vision for the quilting with Lana, but she trusts Lana, listens to her ideas and suggestions, and is comfortable scrapping the original plan if Lana comes up with something better. It’s hard to believe that I started quilting for others more than 11 years ago. The time has flown by and I’ve enjoyed every minute. Like many long arm quilters, this is not my first career. My first was as a photojournalist; my last years as a photographer were spent in Washington, D.C., covering the President as a White House Press Photographer with a major wire service. I changed careers after earning an MBA, working with Fortune 500 companies doing business process engineering. Both of those careers have helped me as a quilter. From photography, I learned creativity, artistic composition, balance, and patience. From the business world, I know that successful businesses provide excellent products, services, and value to their customers. I've tried to apply lessons from both careers to my long arm business. About 10 years ago, one of my customers brought me a package of Quilters Dream batting to use in her quilt and I've been a big fan ever since. Quilters Dream products are my favorites for my own quilts as well as my recommendation for my customers. It is important that batting is high quality, which means that it is consistent in thickness, is “clean” with no specks of cotton seeds that can leach oil onto the quilt fabric, and doesn't beard. 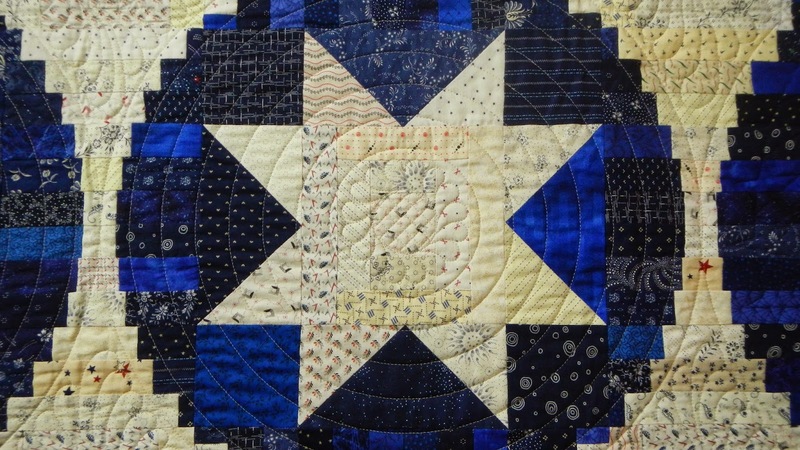 My experience is that Quilters Dream meets all those criteria. It’s important to me to have options to offer my customers to meet the intended uses of their quilts. For most quilts, customers choose Cotton Select, in either white or natural. 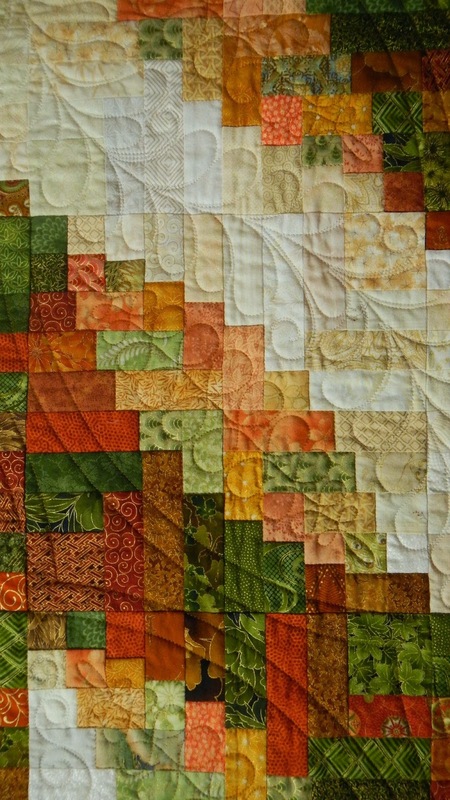 It drapes beautifully, no matter how densely it is quilted. Those who like a loftier look and want a quilt that “breathes” love, I recommend the Dream Wool. For baby quilts, Dream Angel is the choice for its flame retardant qualities. For show quilts, a combination of Dream Wool on top of Dream Blend gives a look of trapunto without the intense labor of stuffing or cutting batts. Whichever one I choose, the quality is always consistent. There are so many talented quilters. It is a pleasure and an honor when one of them trusts me to quilt their quilts. Over the years I have developed special relationships with many of them, both personally and professionally. Judy Martin, for example, has had me quilt the quilts in her last three books, including 12 for her last book, Extraordinary Log Cabins. I have quilted thousands of quilts for customers, and have won dozens of ribbons, including Paducah and MQX. I’m also very proud of the fact that I still quilt for my very first customer, despite the fact that we are over 1000 miles apart! You too can get Lana's digitized longarm patterns available for download on Intelligent Quilting's website! We hope you enjoyed reading about our August #battgirls and feel inspired to try some of their work. We will even send you some 10 X 10 size samples of your batting choice for you to play with. Just give us a shout! Until then, we are always on the hunt for the next Featured #battgirls....will it be you?